CBSE results, CBSE admit cards, CBSE syllabus, CBSE answer Keys and other important information. 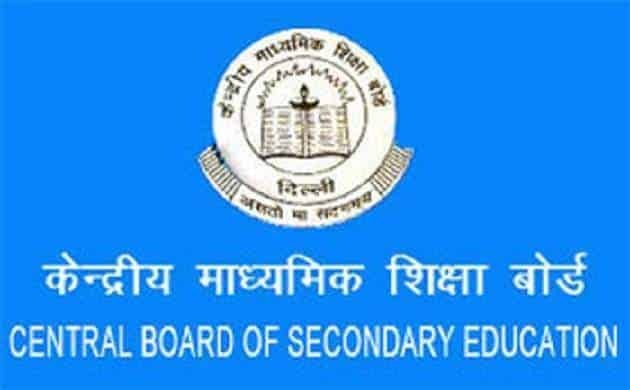 The CBSE or the Central Board of Secondary Education class 10th examination has been successfully conducted in April. Like every year, the details of the examination were released on the official website of the council. The website also declares the tentative date of the result declaration. However, according to past trends, the candidates can expect the results to be declared in June, somewhere around the first week. Most of the students have started preparation for the class 11 curriculum as most CBSE schools have completed the provisional admission of the students depending on the pre-board examination results. There might be a little shift in the stream that the candidates opt for before the final examination. For the benefit of the students, other than only the official website, there are ways like email or message services through which the students can register for knowing the results. Due to increasing level of competition these days, even the high performers at the school fail to score well in the final examination. The result statistics vary from one year to the other. The last year’s percentage of candidates who qualified in the examination amounts to only 90.95 which fell from 96.21 in the year 2016. Among the boys, the pass percentage significantly improved as it shifted from 78.9 to 93.4. Similarly, the percentage also improved for the girls when it shifted from 88.6 to 92.5. According to last year’s statistics, 16, 67,573 number of students appeared in the previous year’s examination with an overall pass percentage of 90.95%. For the present year’s result, the council is expecting to see a remarkable improvement in the success rate of the candidates. Mridula Subramanyam, from Apeejay School at Nerul, Mumbai, scored 99.6% who want to opt for commerce stream and become a Chartered Accountant. According to state wise success rate, Trivandrum topped the list with 99.85 pass percentage followed by Chennai with 99.62% and then Allahabad with 98.23%. There are a variety of career options available for the students after completing class 10th, and it depends on where the student wishes to pursue the science, humanities or commerce stream. They have to take up the coaching classes according to examinations long before the class 10th examination results are declared. While deciding for the stream, it depends on the pre-board examination marks. The candidates should be confident about the stream that they wish to take up. If they do not have a proper depth about the subject, then they should not pursue the same. You can get the result via email service, and prior to the final result, the email service keeps on updating about the tentative date of result declaration. Besides, the candidates also need to remember that they can download the soft copy of the result from the website of CBSE council that should not be treated as the original result and cannot be produced for any official purpose. Therefore, the candidates should be responsible enough to collect the original mark sheet that has been issued by the council to the respective schools. The 12th examination of CBSE has been conducted from March 5th to April 13th. Previously, it has been declared by the CBSE council about the requirement of experienced teachers. The council has decided to emphasis on high-quality and error-free checking of the answer sheets. To carry out the strict and time-bound execution of the entire procedure, the council is taking special care. Last year, the examination started on 9th March and nearly 11 lakh students appeared for the examination. The overall percentage was counted to be 82. Among this, pass percentage among girls was 87.50 and among the boys, it was 78%. It is further expected that the pass percentage would presumably surpass the previous year’s record. Among the total number of candidates appeared, 6, 38,865 number of boys and 4, 60,026 number of girls appeared. For 2018 examination, a total of 3,502 centers registered and the examination took place in 10,678 schools. The success rate has been quite high and Raksha Gopal from Noida came with flying colored and secured the top position with 99.6%. She was from Amity International School. Bhumi Sawant of Chandigarh took the second position with a little less of 99.4%. It is obviously for the students who are awaiting the results to be anxious as it is one of the importance of our career and helps in determining and shaping further professional and academic plans. The candidates have to check for the results via message or email service. They only need to register for the same beforehand and the email service would keep them updated about the declaration of the result. After the result has been declared by the council, the students can download the softcopy available in the website but it cannot be used for any official purpose. They shall be provided the hard copy of the result from their respective schools that has been issued by CBSE council. For most of the students who have appeared for class 12th examination, it is obvious to plan their career goals previously and accordingly they must have started to prepare for other competitive examinations as well. For the students in the science stream, they have plenty of choices to pick from and accordingly they will have to appear for the competitive examination. Some of them are medical courses, engineering courses and so they can appear for JEE, IIT entrance examinations. For the students in commerce stream, the options available are BBA or Bachelor of Business Administration with specialization in different streams such as Entrepreneurship, Finance, International Business, Accounting, banking and many more. Also, the option is wide when students are from the humanities stream and they can take up the specialization in any arts subject they want. They can also opt for mass communication and journalism if they are interested in media. There are other courses as well such as nursing, fashion technology, designing courses, Film and television courses and many more. Therefore, as you come with flying colors, choose the right stream that shall help you to right profession in future.